Prostate cancer (PCa) is a leading cause of mortality among males. 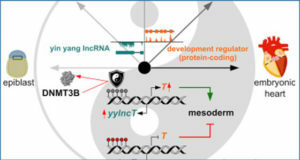 Long non-coding RNAs (lncRNAs) are subclass of noncoding RNAs that may act as biomarkers and therapeutic targets. 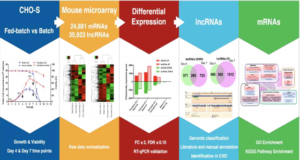 In this study, researchers at Fudan University firstly conducted analysis of global lncRNA expression patterns by using their own cohort (GSE73397) and two public available gene expression datasets: The Cancer Genome Atlas (TCGA) and GSE55909. Next, they performed microarray to observe genome-wide lncRNAs’ expressions under dihydrotestosterone (DHT) stimulation in LNCaP cells (GSE72866), and overlapped the result with ChIPBase data to predict androgen-responsive lncRNAs with ARE. 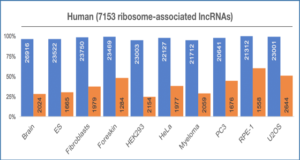 Combined the two results, a total of 44 androgen-responsive lncRNAs with ARE were found to be over-expressed in PCa samples. 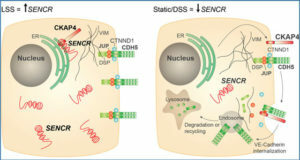 Ten lncRNAs were selected for further validation by examining their expressions in LNCaP cells under DHT stimulation, and in PCa samples and cell lines. Among them, RP1-4514.2, LINC01138, SUZ12P1 and KLKP1 were validated as directly AR-targeted lncRNAs by ChIP-PCR. 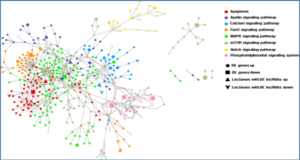 Then the researchers conducted a bioinformatic analysis to identify lncRNAs as putative prognostic and therapeutic targets by using TCGA data. Three androgen-responsive lncRNAs, LINC01138, SUZ12P1 and SNHG1 showed association with gleason score and pT-stage. The biological functions of LINC01138 and SUZ12P1 were also evaluated, both lncRNAs promoted the proliferation and inhibited apoptosis of PCa. These results provide potent information for exploring potential biomarkers and therapeutic targets for prostate cancer, especially for castration-resistant PCa. 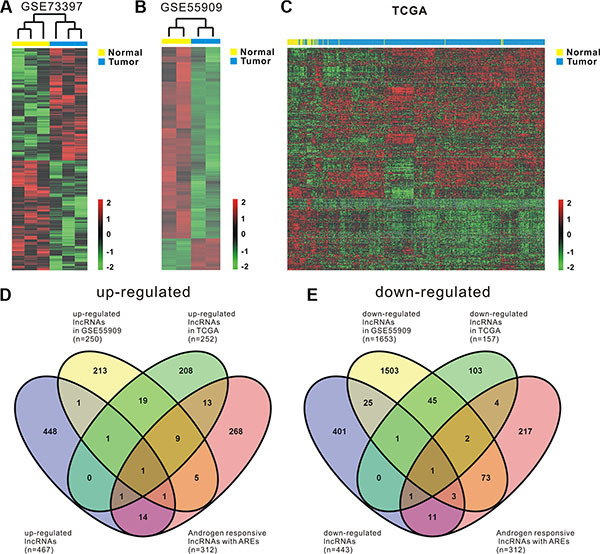 Heat map shows differential lncRNA expression between prostate tumor samples and normal tissues by using our own cohort (GSE73397) (A) and two publicly available gene expression data GSE55909 (B) and TCGA (C). 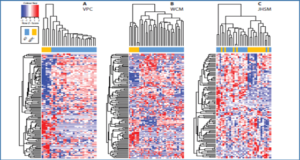 Hierarchical clustering reveals distinguishable lncRNA expression profiles. Red indicates high relative expression and green indicates low relative expression. 2, 0 and -2 are folds changes in the corresponding spectrum, whereas Normal represents normal prostate samples and Tumor represents prostate cancer tissues. (D, E) four-way Venn diagrams display the overlap of up-regulated and down-regulated androgen-responsive lncRNAs that are in GSE73397, GSE55909, TCGA and GSE72866.